2017 Mardi Growl Highlights from Community Television Knoxville on Vimeo. Edgewood – Park City from Community Television Knoxville on Vimeo. Suttree Landing Ribbon Cutting – November 16, 2016 from Community Television Knoxville on Vimeo. 2016 Veterans Day Parade from Community Television Knoxville on Vimeo. Police Advisory Review Committee from Community Television Knoxville on Vimeo. Equal Time – Gloria Johnson from Community Television Knoxville on Vimeo. Equal Time – Rick Staples from Community Television Knoxville on Vimeo. Equal Time – Pete Drew from Community Television Knoxville on Vimeo. Equal Time – Brandi Price from Community Television Knoxville on Vimeo. Lakeshore Ribbon Cutting from Community Television Knoxville on Vimeo. 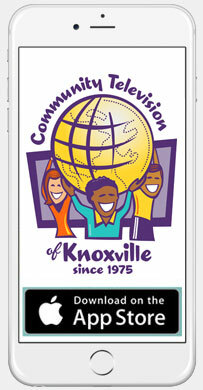 Disadvantaged Business Enterprise Awards from Community Television Knoxville on Vimeo. 9.11 Memorial . City of Knoxville, Knox County from Community Television Knoxville on Vimeo. Knox County Swearing In Ceremony – September 2016 from Community Television Knoxville on Vimeo. Simulation_AmeriCorps Press Conference from Community Television Knoxville on Vimeo.